Trixie and her family are off on a fantastic trip to visit her grandparents—all the way in Holland! But does Knuffle Bunny have different travel plans? An emotional tour de force, Knuffle Bunny Free concludes one of the most beloved picture-book series in recent memory, with pitch perfect text and art, photos from around the world, and a stunning foldout spread, culminating in a hilarious and moving surprise that no child or parent will be able to resist. Bestselling, award-winning author Mo Willems has created an epic love story as only he can, filled with the joys and sadness of growing up —and the unconditional love that binds a father, mother, daughter, and a stuffed bunny. With truly captivating illustrations that uniquely depict both a photograph background in black and white and cartoon character's that add a vivacious pop of color, Knuffle Bunny Free: An Unexpected Diversion is such a treat (for both parents and kids)! The storyline is very touching, Trixie (the little girl) is going to visit her Oma and Opa (Gradmom & Grandpop) in Holland with her mother and father. She takes her special "lovie" Knuffle Bunny along for the trip and through losing and finding Knuffle Bunny, Trixie learns a lot, and grows up a little along the way. Knuffle Bunny Free would make a wonderful gift for that special little one in your life this Valentine's Day! 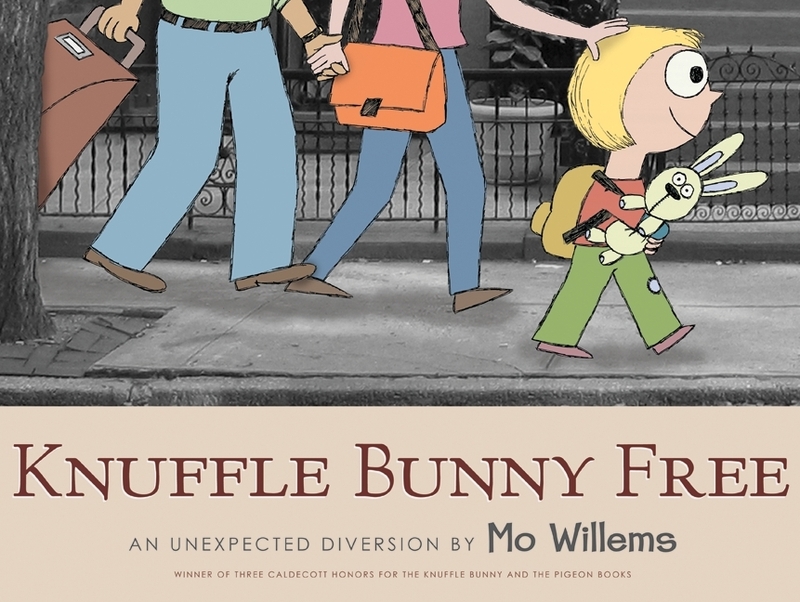 BUY IT: You can find Knuffle Bunny Free: An Unexpected Diversion by Mo Willems at a book retailer near you. Learn more about the Author and his other great titles at http://www.gomo.net/ .